Since adopting our son, I find people say the strangest things. At least they are strange to me. While we are very open about the fact that Ezra is adopted and we want him to understand his roots, other people are making me learn to be more closed lip about it. I have come to only share our adoption story in certain platforms now. Not because I am ashamed or don’t want Ezra to know, but because people don’t understand adoption. It really depends on if I am in “educate” mode or “I’m a busy mom and don’t want to hear your comments” mode. When someone says to me, “wow, where did he get his blonde hair?” Do I say, “His birth father was blonde as a child too”, or do I say “His dad”, or do I sarcastically say “Must have been the mailman.”? I don’t want Ezra to grow up thinking I am ashamed that he is adopted by avoiding the topic, but I also don’t want him to feel like I am always saying “well he’s adopted” either. One thing I hear a lot when I do mention that he is adopted, is “Wow, you are so wonderful to have adopted.” Or “You are such an angel to adopt”. This is what gets me: I am not wonderful or an angel for adopting. I did not pluck an orphan out of the gutters of the street. I selfishly chose to expand my family through domestic infant adoption. I could have chosen foster care adoption or international orphan adoption, but I didn’t. I wanted my husband to experience having a baby since birth, since he missed that time of Isaac’s life. I wanted to know he would be called “daddy” not Joe by the next child. I wanted to experience the joys of a baby with him and with Isaac as a big brother. I wanted to have an attachment that felt like I was there from the start. I wanted to attempt breast feeding by inducing lactation. So, when someone tells me I am so wonderful for adopting Ezra, do I smile and nod and give them thanks for the compliment or do I spout off like a crazy person telling them why I am the lucky one, not him? I want to educate people on adoption, but is there a time and place for that? Adoption has been around for a long time. It plays a role in many people’s lives. Whether you have an aunt that was adopted, your friend was in foster care, your step parent adopted you or you know someone who placed a child for adoption; people have been parenting children not biologically theirs, all through history. Below is a list of people that are adoptees that you may have heard of. The Kardashians are always making headlines, whether we like it or not. The most recent hot topic, aside from loving or hating Baby North’s name, is Khloe’s fertility problems and news about visiting an adoption lawyer. So… back to the clip that I want to touch on today. I feel this one is a very interesting topic actually. In this deleted scene clip (http://www.eonline.com/shows/keeping_up_with_the_kardashians/videos/213572/khloe-kardashian-questions-birth-certificate), Khloe tells her mother about an interesting birth certificate fact she found out during the meeting with the adoption attorney. An adopted child’s birth certificate is edited to reflect the adoptive parents as the parents of the child. It is not altered to ADD the adoptive parents, it is changed. The birth parents are removed and the adoptive parents are added. The child’s birth name is also deleted (if it differs from what it is at adoption) and the new name is put in its place. While Kris, Khloe’s mom, seems shocked by this news, she quickly realizes that the reason Khloe is bringing it up is another reference to the fact that Khloe doesn’t believe she is biologically a Kardashian. The whole scene made me wonder how many people out there do not know that an adopted child’s birth certificate is permanently altered with their birth information deleted, even in open adoptions? I suppose there are two sides of this, that one it protects the birth parents who don’t want to be found or, I don’t know, are in protective custody or something? But, seriously, why in the world, with all the changes that have happened in adoption in the last several decades, is THIS still happening? My thoughts are that by altering a birth certificate it is striping the identity from a person. Just because they are adopted, does not mean that their original identity should be hidden from them. Ezra’s revised birth certificate actually just came in the mail about a week ago. I thought that when I got that new birth certificate, showing his last name the same as ours and reflecting us as his parents, I would be really happy. Instead, I was oddly saddened. With my open adoption, we are lucky enough to have his birth parents in our lives. We even have a copy from our adoption lawyer of his original birth certificate for his records, since now the original is sealed. But, receiving that document raised a lot of questions and concerns by me, for my son. I knew there were groups and activist out there that spoke out on adoption reform and “birth certificate identity theft”, but it wasn’t until I saw my son’s “new” birth certificate that I felt I really understood the stance these adoptees take. How hard would it be to reform this practice? 1. Keep the original given name of the child on the certificate and amend it to state new legal name. 2. Keep the birth parents name(s) on the certificate with adoptive legal parent’s names added to reflect the adoption. 3. In cases where the birth parents personally request to remain anonymous or there is a danger to gaining that access, then maybe “seal” that information for the first 18 years, but don’t make it difficult to obtain after the child is no longer a minor. 4. If the child, as an adult, would like the birth information removed, then they can request to do so. Nothing should ever be used to keep a child in the dark about their adoption though. Going through life feeling out of place and then finding out you are adopted only to hit dead ends in your search is cruel. Which is one of the reasons open adoption and talking about Ezra’s adoption to him with age appropriate information is important to us. 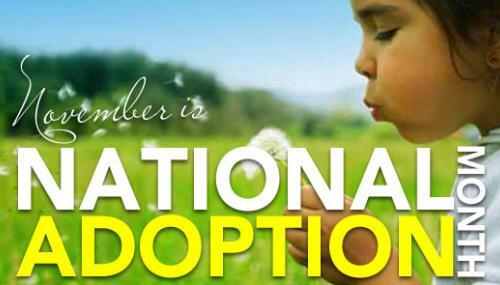 Everyone says that adoption is about giving the child a better chance in life. So if we are truly doing this for the children… then don’t strip them of their identity. Let them be proud of who they are. There are many ways to reform adoption and birth certificate reform is just one of the many injustices adoptees deal with. So while the present reform groups focus a lot on making sure original birth certificates are unsealed and made available to them as well as not being sealed in the future for new adoptions, I think we can go one step further and change the way we handle what is ON a birth certificate to begin with. I would love your experience or feedback on this. Please comment below.